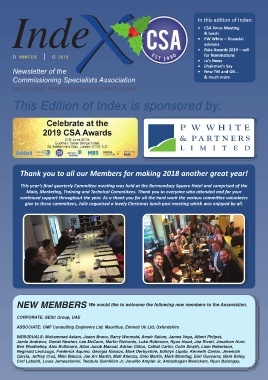 Thank you to all our Members for making 2018 another great year! give to these committees, Julie organised a lovely Christmas lunch post meeting which was enjoyed by all. NEW MEMBERS                     We would like to welcome the following new members to the Association. Carl Lababit, Louis Jamesolanini, Teodulo Quintillan Jr, Jovelito Ampler Jr, Anbazhagan Manickam, Ryan Balongay.